Okay. SO. I do pretty well writing, hold a wide variety of interests, and I read science and psychology articles for fun. Overall, I consider myself to be a pretty smart girl, but I've got to admit to having a less than confidence inspiring issue. I'm notoriously bad at telling my left from my right. Wrong left. His tone rolled his eyes for him. It's kind of embarrassing, and it does feel pretty dumb, but it's not that I dont know it. I just... I don't know... I feel like it's less intuitive to me than it should be. Also good to know, is that this confusion has nothing to do with intelligence. In fact, upon further research in another favorite blog of mine, Krulwich Wonders, I found even Freud had this problem! There have even been studies done on the subject of left/right confusion. One involving 364 university faculty workers - once again, pretty intelligent people - found the condition to be common as well. So whats the deal with us 20%ers? While there's actually no definitive answer yet, executive director of the Handedness Research Institute (Yes, apparently there IS a Handedness Research Institute.) M.K. Holder believes the problem resides in the degree a brain function is "lateralized," or divided between hemispheres. This explains why women and left-handed people are more likely to have this peculiarity. Men and right-handed people tend to be more strongly lateralized than do women or left-handed people. To put it simply, the more "biased" the brain is towards one hemisphere over the other; the more likely there is to be left/right confusion. Also of interest in this phenomenon, is the region of our brain called the "parietal lobe" -the.left. parietal lobe to be specific. Together, it's the left and right parietal lobe's job to interpret sensory and relational information. However, they each play their own part in this equation. Attention of the left - both of the space we are in and of our body's left side. OR, as one more intriguing theory suggests, your left/right confusion may just be due to your SF or NT type personality! (E)xtroverted - focused on others OR (I)ntroverted - focused on self? (S)ensing - focused on senses OR I(N)tuiting - focused on patterns and possibilities? (T)hinking - more concerned for facts OR (F)eeling - more concerned for people? (J)udging - stubborn and reliable OR (P)ercieving - flexible and changeable? "SF people have theirdominance in their basal cortex.1 This part of the cerebral cortex is a lot more "awake" and "efficient" than the frontal part. 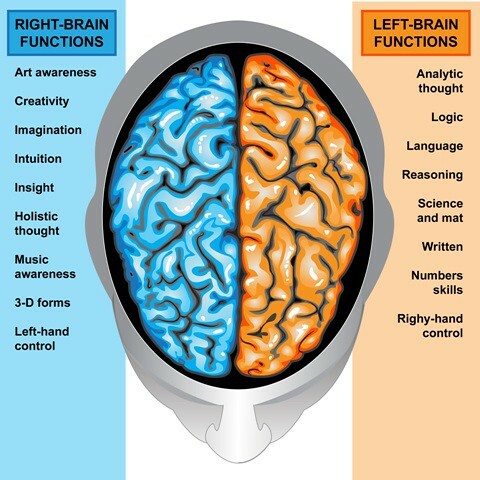 Another characteristic of SFs is the fact that their two preferred functions are "driven,"one from the right (F) and the other one (S) from the left hemisphere. Havinga preference on each hemisphere provides them with a strong inner reference of where their right and their left sides are, so they don't have to think about it. So why do they mix up? Personally, I'm an INTP, so I was a little disappointed that he never explained why it "sometimes may also occur with NT"as well. For now though, I can just be satisfied knowing I have some excuse, Im not alone, and I'm NOT dumb either. I have this problem too, being an NT and left-handed. My left hand is the Right(correct) hand, ok? :) So I have remedied my directions by using compass points, but that only helps the person driving if they have that ability, so.... :P Oh well, another problem of the brain I have to deal with. Love that it's called Handedness Research Institute! haha. This is such a great blog, Erin. So interesting! I hadn't heard of the "write with your right" trick until I started doing research for this blog. I'm the same way - they always told us to do the "L" to figure it out. Also hadn't thought about the fact that the problem only really occurs when language is involved. When some says "hold out your left hand" or I'm asked to give directions. I'm an NT and I do this all the time. I suppose being a 'rational' and having an education in psychology I never mistook it for a matter of intelligence (as if somehow you weren't smart enough to learn the simple dichotomy or something, kind of funny to even consider that being possible). My brain tends to be focused on its thoughts most of the time, if you immediately say left or right, I guess it just doesn't feel compelled to get out of that frame and actually consider my body. And I just put up whichever hand, go whichever direction, etc. Ugh! I can't tell me how much I hate when my stuff gets deleted. So frustrating. Thank you so much for not giving up and posting regardless! I think that's a good point. It's not that we're not intelligent, it's just that our brain is more developed in other areas! I have Left/Right Confusion too. Sometimes even when I do the L I can look at my hands and KNOW but still say the wrong thing. When I'm in a car giving directions if I can't grab right or left quick enough I infamously yell "driver's side!" or "passenger side" or just tap on my passenger's side window in frustration that people don't understand me! I'm an ENTP so I'm intrigued by this as well! I confuse my left and right when I am in the Southern Hemisphere (where I live) but when I go the UK in the Northern Hemisphere for a holiday I am suddenly alleviated of this problem! And not only that, my general sense of direction becomes almost infallible, even in places I have never been before. Any thoughts, wise readers, on why this may be so? I do not understand it at all. I do this! I agree that's it's a verbal thing because I have no problem writing down exact directions for somebody. Well, mostly no problem. I learned the "make an L" trick in college, but it just confused me. Which one is the L? I'll just stare at my fingers and wonder why I can't figure that out. So, doofus x2. While driving remember Right Radio ...Left Lights. My mother and I both have this problem and we laugh when it comes time for turning because we say the wrong way OR think the other is going to say the wrong way. Lefts mean right... right means left. Just easier to point and say that way. I always thought it was a mild form of a dyslexia. I also have a hard time reading numbers out loud. I tend to revert them. I am an INFP and do this, when I was a kid, I was helpless at it, but I developed a wart in my left hand which I considered my least favorite hand, so I memorized that the one that I don't like is the one with the wart and that one is called the left hand. I still sometimes check where the wart used to be that this is the left one, but I am fairly OK with it now... but I pause. I have issues with left and right, too. If I drive, I figure out which side of the road to be on based on where the driver's seat is in relation to the side of the road. This would probably be to my advantage if I ever decide to go live in the UK. 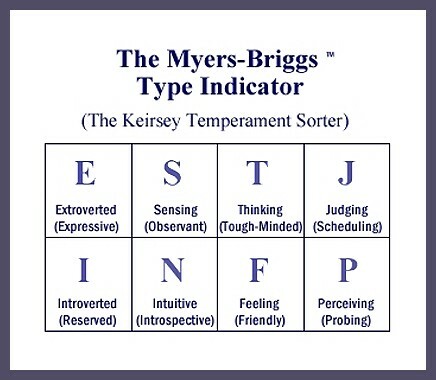 I thought it was interesting that they connected this to Myers-Briggs. I'm an INFP, and according to this article, it's supposed to be SFs and NTs that have this issue, not NFs. I do test as INTP sometimes, but I'm told I act more like an INFP than an INTP. I eat with my left, and do everything with my right. I also have a problem with numbers. I can't remember formulas, for example. I did good on maths (algebra, geometry) in school, but my physics were terrible, I couldn't "overlap" the theory with the reality inside my head. Also, I confuse sequences of numbers quite often, unless I remember to pay "extra special attention". Case in point: I work in a warehouse as a forklift driver and I have to stack the merchandise/products/goods on shelves. Just like with most warehouses, it is organized like laneX/rowY/levelZ (2.14.3, for example). So I take a stack of goods and place it on 2.14.3, but I note it on my documents as 2.13.4, or 1.14.3. I don't have only problem with left / right , I have a problem telling the time if i look at a regular watch(I prefer the elctronic ones) and also when read 2 numbers like 76 I say 67 I know I meant to say 76 but the words come out switched . Keys are also one of those obstacles that I am not good at . Your article helped a lot , thanks but what is my condition called? I am 14 and I have great grades so that doesn't have to do with my grades. Katia - I think the problems with watches and keys are actually pretty common, and have more to due with lack of familiarity and consistent use of them. You will become better with keys over time ( I was terrible with keys when I first started using them!) and if you consistently challenged yourself to use a traditional clock, I'm certain you would become better with that as well. The switching numbers in speech thing is also fairly common. Flipping words around is called "spoonerism." It happens when your brain in working in-overdrive and creates two different ideas of what should be said before you speak. I get this most frequently when I am feeling anxious, which makes sense, because when you're feeling anxious, your brain is more concerned with fight or flight than it is about self-expression. It can also happen when I'm preoccupied - thinking about something else and not fully focused on the subject I'm talking about. INTP here too- same issue:) I mix sharps and flats in music around too when I hear someone tuning- a sound which I associate to be "sharp" is in actuality flat. My wife has this issue. It was shocking the first time it happened while I was driving and she was giving me directions. She would give me the exact opposite direction to turn and become incensed when I didn't do it. At first I was afraid she had had a stroke or had a brain tumor. I was so relieved to learn that it isn't anything serious. She was relieved as well. I am a right handed person and don't have any trouble or confusion between left/right directions. Once in a while, I practice writing with my left hand just for fun. Woah, so relieved that I'm not alone in this. I've been too hard on myself with this issue. I've been terrified my whole life that someone will eventually figure out this glitch in my system.. I literally freeze up every time I'm instructed to do this and that with my left / right.. Sometimes, I even confuse real simple stuff, like clockwise and counter-clockwise, greater than and less than sign, etc. This is a really great read by the way, great job! I'm was so embarrassed I didn't tell many people. When I went for my drivers test 15 some years ago, my confusion got me failed. The instructor called out right and I went into a middle Lane!!. I have not been able to go back. I also have that number confusion thing. I have to quadruple check if I'm banking. I have made deposits into wrong accounts before. It becomes a mission to rectify. How safe is our blood supply?